You are currently browsing the archives for the MoveOn.org category. James Freeman’s article does something that MSNBC and CNN haven’t done. Specifically, Mr. Freeman questioned the integrity of Mr. Schiff’s alleged information. I use the word alleged advisedly. Frequently, Mr. Schiff has hinted that he’s seen information that proves that there’s been collusion between President Trump’s team and Russia. Never has he provided that proof. TAPPER: Do you know of any instance where the Russians said, we’re going to do it this way, we’re going to do it through WikiLeaks, we’re going to do it through DCLeaks, this is how we’re going to get this information out there? 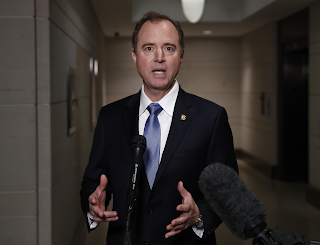 SCHIFF: I can’t comment. That’s an issue that we have been investigating. And I don’t want to comment at this point or not what the state of that evidence is. That’s tough. Schiff’s credibility is sinking fast. We should nickname him ‘The Gossip Guy’ because he’s more full of gossip than actual verifiable information. Honestly, I don’t trust Schiff. It’s put-up-or-shut-up time as far as I’m concerned. This article explains why I don’t trust him. TakeAction Minnesota wasn’t established to bring civic-minded people together. It was put together by hyperpartisan progressives to shout down conservatives and criticize center-right policies. Listening isn’t TAM’s strong suit. Keeping an open mind isn’t, either. People that insist that organizations like TAM and MoveOn.org are just interested in speaking to their congressman or senators are lying. More often than not, the goal is to produce videos that go viral. Thank you for participating in the Plymouth town hall meeting this Thursday. I anticipate there will be additional members participating but have so far not yet been notified. Meeting details are listed below and directions from the Capitol are attached. I have also attached the list of people who have signed up to testify as of 9 a.m. this morning. Because we will be meeting for approximately 2 hrs., we will not be able to hear from everyone. (140 have submitted their names.) We will be limiting testimony to 2 minutes and encouraging individuals to submit their comments in writing or online. If there are any individuals listed who you think would provide particularly compelling testimony, please let me know. We will be working to hear from a variety of individuals covering a wide range of topics. Please contact me with any additional questions or suggestions. TakeAction Minnesota is an extremist organization. I applaud Jason Lewis for not participating in their manipulations. That’s just the tip of the proverbial iceberg. 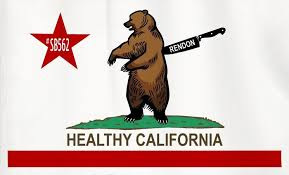 According to the article, “when Rendon announced that he would not allow a single-payer health care bill to advance through California’s lower house, tempers boiled over. “Corporate Dems: Don’t underestimate grassroots taking action on #SinglePayer,” RoseAnn DeMoro, head of the nurses union, said on Twitter. Anyone that’s paid attention to the news this past month and doesn’t think that the left is capable of unspeakable violence isn’t thinking things through. There’s a significant division between the establishment and the Resistance. The thing that this article didn’t talk much about, though, was whether Democrats would descend into intraparty violence. I’m not ruling it out. The MoveOn activists hate the DLC (Democratic Leadership Council) activists. There’s no reason to think that this fight will end anytime soon. Think of the MoveOn activists as representing Obama and the DLC representing the Clintons. There’s clearly no love lost between those dynasties. Saturday afternoon, Ben Wikler, the Washington director of MoveOn.org, appeared on Fox News to talk about the incoming Trump administration. Saying that his presentation was nothing but the typical litany of progressive chanting points is understatement. After the interview, I visited MoveOn.org’s website. What I found was what I expected to find. One interesting thing that I found was this statement supporting Nancy Pelosi’s re-election as House Minority Leader. In the spirit of bipartisanship, I wholeheartedly agree. The DNC must clean house and the new chair must stand up to all efforts by Trump and Republicans to move their harmful and bigoted agenda, which lost the national popular vote. At the same time, the DNC must connect with the grassroots of the party base that wants the party to reject corporate influence and advance an inclusive, progressive agenda that will energize voters and grow our base in 2017, 2018, and beyond. To do this, we need to bring back a real 50-state organizing strategy. 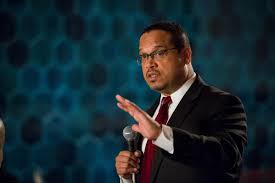 Rep. Keith Ellison would be an excellent DNC chair. FOOTNOTE: Keith Ellison just said that he’s open to leaving Congress if he’s elected as the next chairman of the DNC. More than 250 million Americans did not choose Trump. In fact, Hillary Clinton won the popular vote. The millions of us—MoveOn members and allies—who spent countless hours knocking on doors, making phone calls, and defending democracy can be proud of what we did together. There’s no doubt that MoveOn.org is trying to restore morale after a demoralizing defeat. That’s fine. In college sports, winning the popular vote but losing the election is sometimes called a moral victory. In pro sports, though, it’s still thought of as a defeat. That communication style is why Democrats lost the last election. Jones, an Obama administration official who resigned under pressure because of his far-left positions, is a fixture at the annual gatherings and a fiery orator. But this version of his yearly pep talk was laced with disappointment. “I’m watching that movement that inspired the world…that stunned the world, in the moment of maximum peril now sit down,” he lamented at the opening session, where half of the 500 seats were filled. OWS disappeared because citizen journalists exposed them for the criminals that they are. They also disappeared because Main Street can’t relate to them. There’s no doubt that OWS excited The Left. If President Obama won 100% of the anarchists’ and Marxists’ vote, that might get him to 10% of the vote. That leaves him just 40 points short of winning re-election. The TEA Party’s ideals are the embodiment of Main Street values and priorities. While there aren’t as many TEA Party rallies, the TEA Party spirit is still vibrant. Most TEA Party activists found limited government candidates to support, then went to work for those types of candidates. America might not agree with everything that the TEA Party stands for but they aren’t repulsed by TEA Party activists like they are with OWS criminals. While I’ve gone to great lengths to keep this website a forum for ideas, and not a personal forum, I should say something about the various stories regarding my political future in Virginia, the state that has been my primary home since late December 2010. The short of it is this: I don’t know and am nowhere near deciding. If I were to run, it would be as a Republican. And I am in the process of changing my voter registration from Alabama to Virginia, a development which likely does represent a closing of one chapter and perhaps the opening of another. As to the horse-race question that animated parts of the blogosphere, it is true that people whose judgment I value have asked me to weigh the prospect of running in one of the Northern Virginia congressional districts in 2014 or 2016, or alternatively, for a seat in the Virginia legislature in 2015. If that sounds imprecise, it’s a function of how uncertain political opportunities can be—and if that sounds expedient, never lose sight of the fact that politics is not wishfulness, it’s the execution of a long, draining process to win votes and help and relationships while your adversaries are working just as hard to tear down the ground you build. I by no means underestimate the difficulty of putting together a campaign again, especially in a community to which I have no long-standing ties. I have a mountain of details to learn about this northern slice of Virginia and its aspirations, and given the many times I have advised would-be candidates to have a platform and a reason for serving, as opposed to a desire to hold an office, that learning curve is one I would take seriously. And the question of party label in what remains a two team enterprise? That, too, is no light decision on my part: cutting ties with an Alabama Democratic Party that has weakened and lost faith with more and more Alabamians every year is one thing; leaving a national party that has been the home for my political values for two decades is quite another. My personal library is still full of books on John and Robert Kennedy, and I have rarely talked about politics without trying to capture the noble things they stood for. I have also not forgotten that in my early thirties, the Democratic Party managed to engineer the last run of robust growth and expanded social mobility that we have enjoyed; and when the party was doing that work, it felt inclusive, vibrant, and open-minded. But parties change. As I told a reporter last week, this is not Bill Clinton’s Democratic Party (and he knows that even if he can’t say it). If you have read this blog, and taken the time to look for a theme in the thousands of words (or free opposition research) contained in it, you see the imperfect musings of a voter who describes growth as a deeper problem than exaggerated inequality; who wants to radically reform the way we educate our children; who despises identity politics and the practice of speaking for groups and not one national interest; who knows that our current course on entitlements will eventually break our solvency and cause us to break promises to our most vulnerable—that is, if we don’t start the hard work of fixing it. On the specifics, I have regularly criticized an agenda that would punish businesses and job creators with more taxes just as they are trying to thrive again. I have taken issue with an administration that has lapsed into a bloc by bloc appeal to group grievances when the country is already too fractured: frankly, the symbolism of Barack Obama winning has not given us the substance of a united country. You have also seen me write that faith institutions should not be compelled to violate their teachings because faith is a freedom, too. You’ve read that in my view, the law can’t continue to favor one race over another in offering hard-earned slots in colleges: America has changed, and we are now diverse enough that we don’t need to accommodate a racial spoils system. And you know from these pages that I still think the way we have gone about mending the flaws in our healthcare system is the wrong way—it goes further than we need and costs more than we can bear. A voter and a columnist have all the freedom in the world to say these things; perhaps a candidate does, too. Should I ever cross that bridge again, I will be trusting voters more than ever (despite having seen how wrong they can get it!) to test ability more than rigid ideology, and to accept that experience changes minds (if it is so in our lives, why shouldn’t it be so in our politics?) I might well decide that all of that is asking too much, and that party demands too much for a guy who doesn’t fit a partisan caricature. Or I might someday not so far off say, “Let the people decide.” Stay tuned. Another Democrat leaves the Obama Democratic Party. I can’t say I’m surprised.